Is the climate really becoming more extreme as a result of climate change? We often hear on the news that the day was the hottest, coldest, wettest, or snowiest on record. 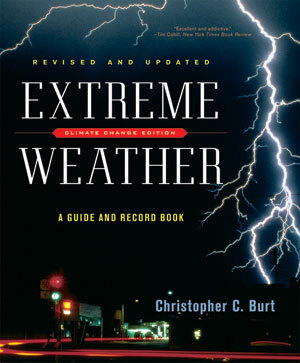 Recent evidence suggests that aspects of the climate are indeed becoming more extreme. Will the extraordinary hurricane season of 2005 and the record heat waves of 2006 become more common? The facts are in this book, including a detailed analysis of extreme weather trends in the United States going back to the nineteenth century. Also included are historical examples of some of the more bizarre weather events observed: heat bursts, electrified dust storms, snow rollers, pink snowstorms, luminous tornadoes, falls of fish and toads, ball lighting, super bolts, and other strange meteorological events.